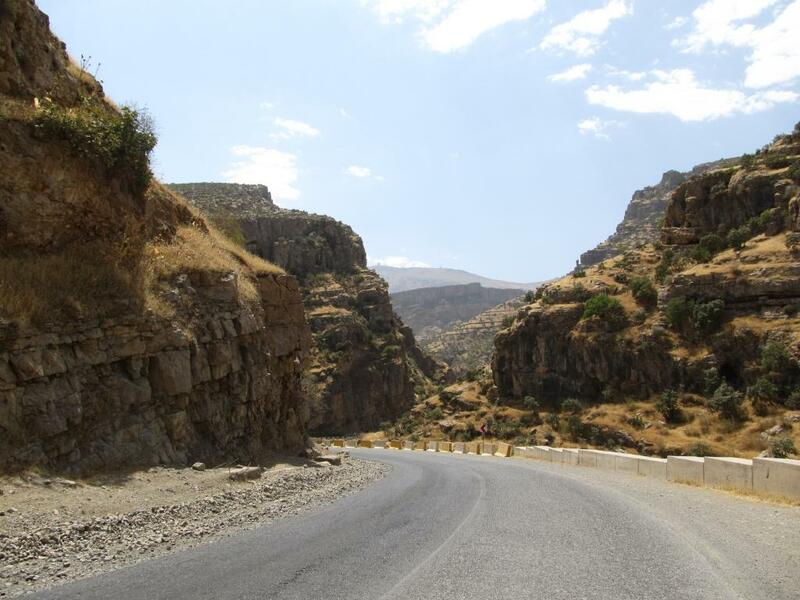 As usual I started cycling later than planned – I left Mahdi and his extremely friendly and hospitable family at half past 11am. The landscape just outside Rowanduz was dramatic. 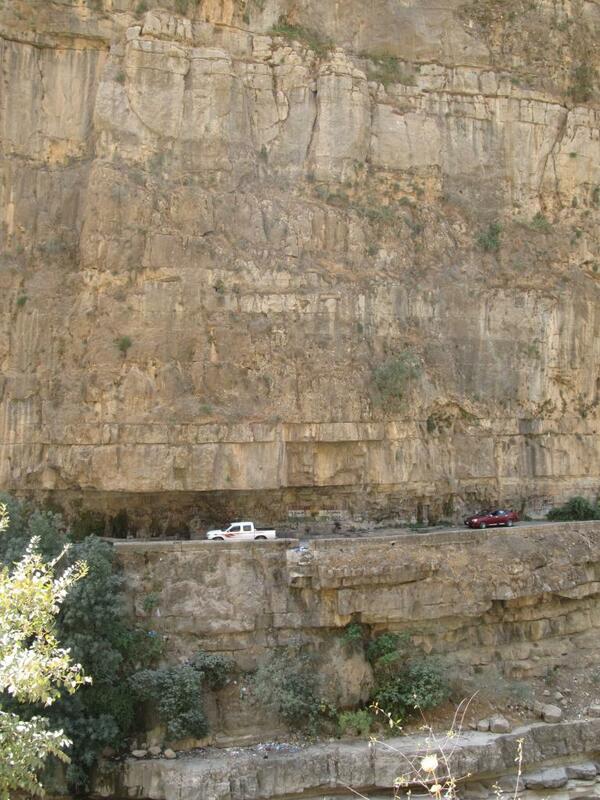 The Gali Ali Beg gorge features vertical rock cliffs and was a major obstacle for Hamilton’s road-building endeavours. 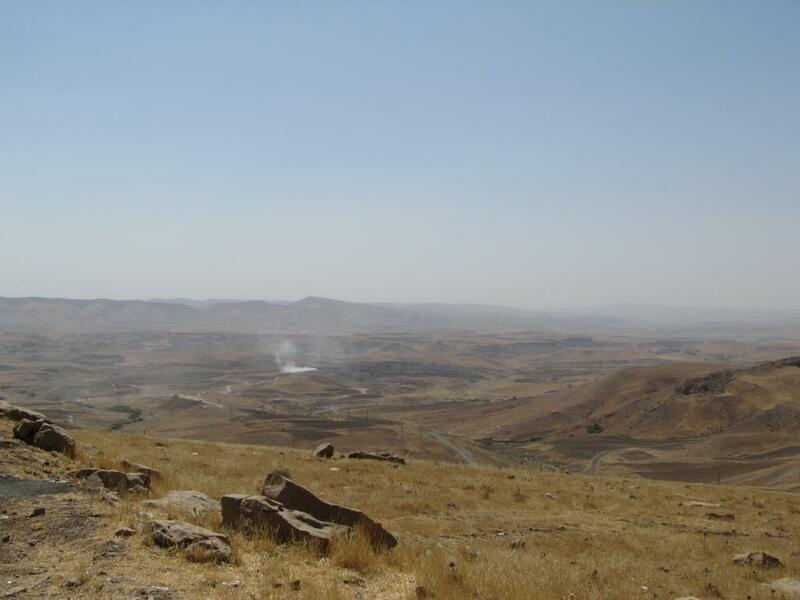 In his book he describes the gorge and the exploration missions to find a viable way through it – so I had a picture of the place in my head. However, in reality it was much more stunning. The ride was way more exhausting than I had expected. 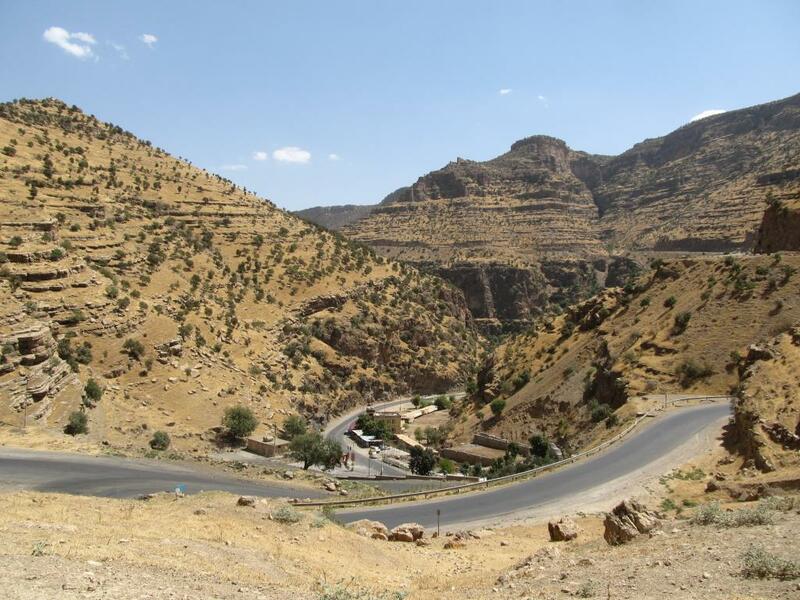 A headwind, the hilly terrain, and the heat – more than 48°C (in the sun) again – didn’t help and I didn’t make it to Arbil, I stopped in Shaqlawa, a touristy town known for it’s pleasant climate, located about 40km from Arbil. Old stretch of the Hamilton Road?